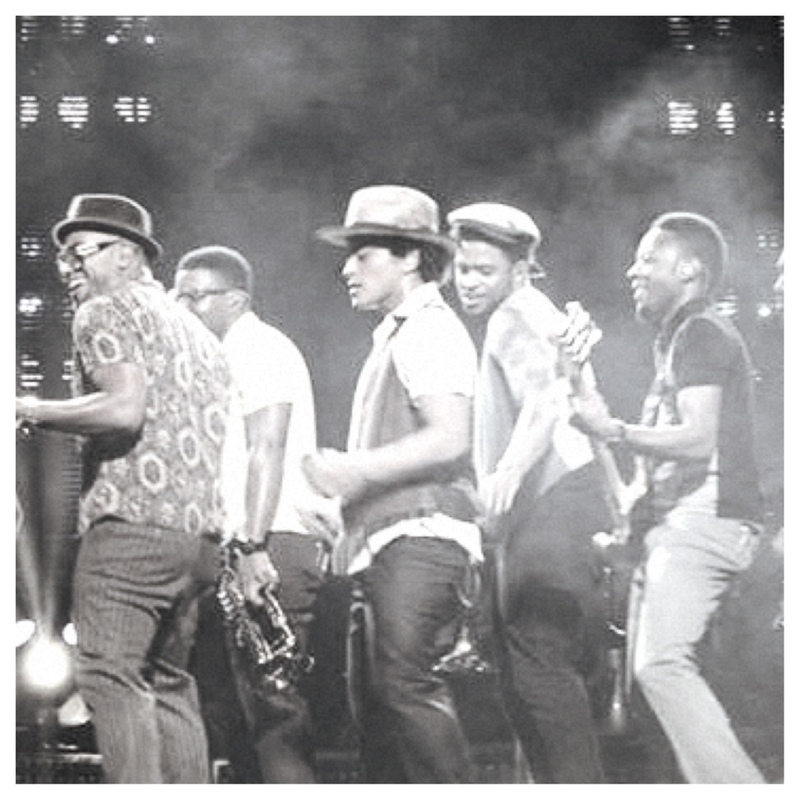 Had to share this awesome photo of Bruno Mars and his band from last night. Doesn’t this picture just look like it’s straight out of the 70s? I love it. My fanhood (is that a word?) has increased tenfold for Bruno after last night’s concert in Orlando. He was energetic, talented, and put on one helluva (spellcheck says that’s a real word?) stage show. Here it is, 4:30am on the east coast, and I’m wide awake because I can’t wind down – that’s how great of a concert he put on last night. Truly, if the Moonshine Jungle tour is coming to your city and you’re a fan, you need to buy tickets. And if you’re not a Bruno fan… What’s wrong with you? !